Full version of "The Obama Deception"
"The Obama Deception" is an interesting documentary about U.S. President, Barack Obama and his connection to the questionable Bilderberg Group, consisting of a consortium of the world's richest men and women, who discreetly meet every year, in a bid to dictate world finance. Like George W. Bush before him, President Obama has fawned over the greedy group, comprised of billionaires looking out for their bottom line and not the financial health of the general public. The film makes a number of interesting points. President Obama made many promises on the campaign trail in 2008, only to break the majority of them when he took office. The Bilderberg Group and other wealthy campaign donors, are largely responsible for this irresponsible shift in position. Obama has tried to play both ends against the middle, deceiving one group (the poor and middle class) while appeasing another (the rich). As the phrase goes, one cannot stand on both sides of the issue. 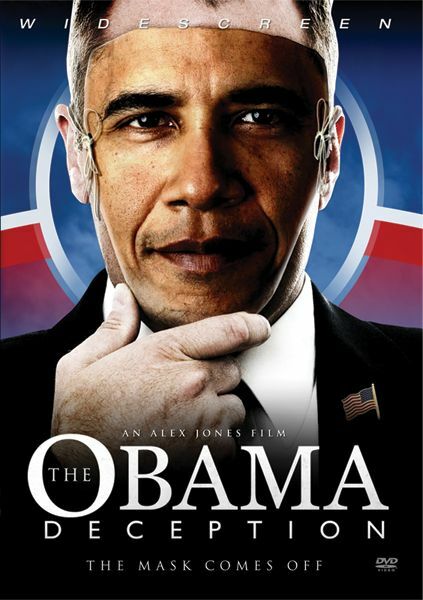 The poster for "The Obama Deception" might be misleading to some, as the movie does not so much imply the president is an Uncle Tom, but reveals his agenda has now become that of Wall Street, mostly comprised of very wealthy white men. The film also explores America and Britain's oligarchs and the role they have played in shaping world finance. The film accuses the rich of having President Kennedy assassinated, for philosophically breaking ties with them, in turning his attention in office to matters such as ending the war in Vietnam, civil rights for minorities, "cutting the Fed down to size," world peace and developing a space program. The documentary contends Kennedy's assassination was a warning to all future presidents never to do this again, in a message of, "Do as you are told or die." The film states, "John F. Kennedy had enraged the entire elite network" as they thought he would be a "puppet" due to his "pro-Nazi father." However, he rebelled against the elite's wishes. It's ironic, as Obama started his presidency much the same as Kennedy, even reminding me of him in some ways, but the current president made an abrupt turn one year after taking office. Many people noticed this and commented on it as well. According to the film, Obama has become the most Wall Street president in U.S. history, with his appointment book reflecting this leaning. The film states, "It is the most extreme Wall Street administration we’ve ever had" and "no one else counts for anything else under Obama." It's a shame, because the president started off with good goals that have now become corrupted.